Device registration process includes getting a registration code and entering it on device. Tip Before starting device registration process you should create employees in the Back Office application, so that they can login on device. 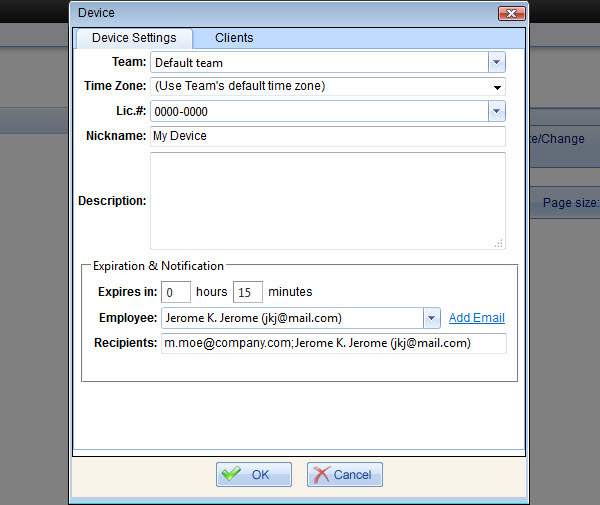 In the Device dialog box, on the Device Settings tab, select the team in the Team box, select a license in the Lic.# box, if needed, enter other settings, and then click OK. Important! By default the registration code expires in 15 minutes after you click OK, so if you are not sure that the code can be entered on device within 15 minutes, you can change the expiration period in the Expires In setting. Also we recommend installing ReconPro on device before getting registration code in the Back Office application. Note If employees register the application on their device, you can specify employee’s email address in the Email box, or select the appropriate employee in the Employee box, and then click Add Email, so that the registration code can be sent to employee by email. Warning! you are about to register a device to a team with no users, please create a user account prior to registering this device. This means that before selecting this team for a new device, you must assign at least one employee to this team. Tip If you register the application on devices, there is no need to send the registration code by email, because you can see the registration code in the Reg. Code column, in the Pending Registrations section. 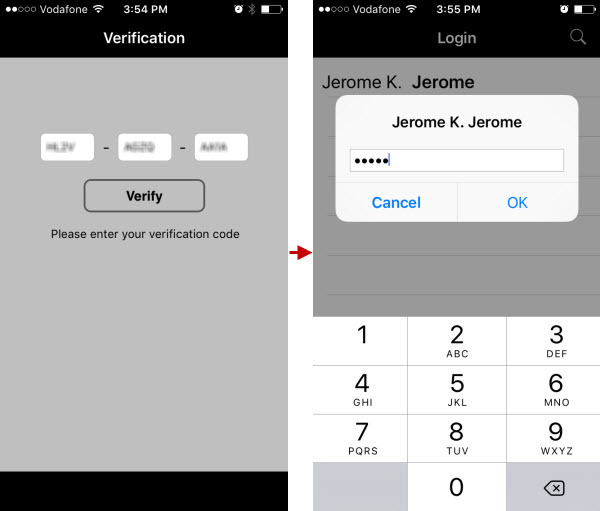 Open ReconPro on device; on the Verification screen, type the registration code, tap Verify. Note If the registration code has been successfully verified, on the Login screen, tap the appropriate employee, type employee’s password, and then tap OK. Tip Learn more about device registration and management.